Well, I can see that the Girl Scout Thin Mint Cookie recipe is a hit! 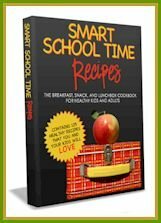 I’m wavering on your mass votes for a Samoa recipe, since I’m not really a shortbread girl, but I’ve seen a few tasty variations, so I may give them a go. I’m kind of surprised no one voted for the Tag-alongs (maybe just my peanut butter-loving wishful thinking). So today, I have recipes for you, but not here. A blast from the past, my Chocolate Chip Crispy Treats (no bake, dairy-free, gluten-free, soy-free, and just generally more wholesome than the jet-puffed version) are featured on Attune Foods today! Go check the recipe out, and let me know what you think (aka – it would be great if you comment on that post so that they think I’m really cool :)). This recipe has been tested by quite a few viewers over the past year, and has become a popular one, so I think you’ll like it. The second recipe is a more recent feature, but it has really been making the rounds since December. My friend Shirley was kind enough to review my book (she swears her opinions of my book were established far before we were friends – I’m still doubting, but Shirley doesn’t tend to lie, so I have to believe her). 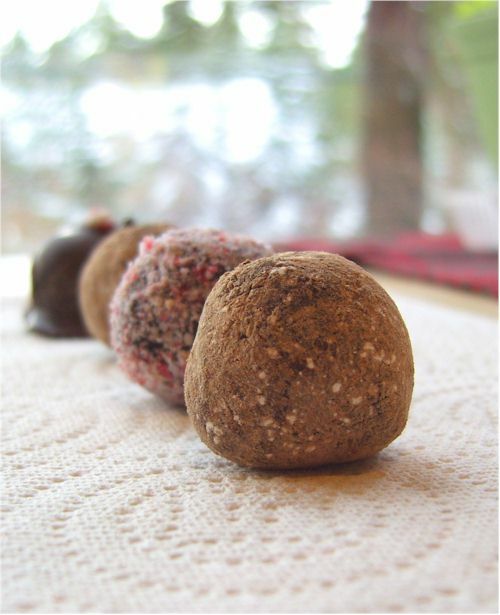 So with the review, Shirley is featuring my Easy Peasy Vegan Truffle Recipe. 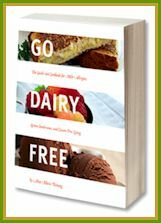 Shirley is also hosting a giveaway of Go Dairy Free with the review, so if you don’t have a copy yet, or want to give one as a gift, go enter! Okay, one last thing. Dealios. Whole Foods has some good deals going one, which alas I will miss by several days. They have whole organic chickens on tomorrow (Friday Feb 18, 2011) for $1.69 a lb! Also, check their sales flyer for your local area (viewable online) as in our area at least, some of the sales correspond with the printable coupons they have (also in store if they have any coupon books left). For example, the So Delicious aseptic coconut milk beverage is on sale for $2 each at my store AND there is a coupon for $1 off! Steal. Unfortunately for me, these sales end Tuesday, and I won’t be down to Whole Foods until Wednesday (yes, I always time things like this). So go, shop, take advantage for me! I actually vividly remember the picture of your samoa tart! I thought of it when I saw all of these wishes for a samoa cookie recipe! I can’t wait to see your new book! Would you believe that I used to love Samoas? I know. There is no rhyme or reason to my crazy. I went to show you love at your Attune post! Those seriously do look incredibly good! You know I never thought of Samoas as shortbread cookies, but I guess there’s shortbread under that coconut, chocolate, and caramel exterior. A gf Samoa would probably put me in a sugar coma though. That’s why those magic oat bars have only been made a few times, and always when they would be shared with a large crowd! Ohhh those treats looks so yummy!!!! ah perfect. Attune is lucky to have you create such wonderful treats! Moan. Those truffles. Are exactly what I need in my life. I vote for Tag-A-Longs! I have a peanut butter loving soul. I can’t help myself. I’m with you Joanne! Way too many samoa votes … but I guess I have made a lot of PB cookies lately! 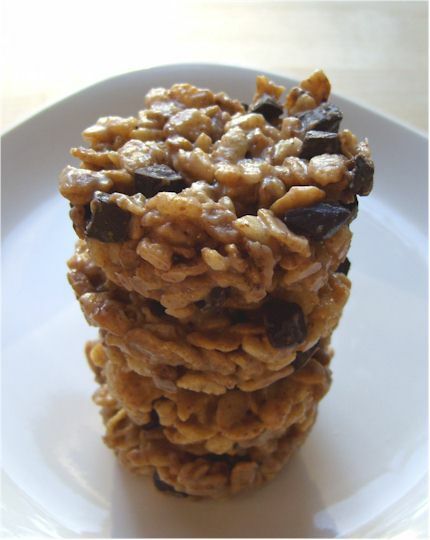 I saw the words samoa and recipe and got all excited… but this recipe looks delicious too! Heading over right now to check out the recipe. Well, it sounds like I’m going to have to work on a samoa recipe as the demand is so high! Wow, snow down there – amazing! Yes, we’ve had several feet here in town (it’s about time!) and who knows how much on ski hill. Yah! The truffles and the crispy cereal treat really caught my attention. This looks really good! These are delicious! I made an alternate version with cocoa and posted about them…so good! And your wonderful recipe leaves all kinds of room for experimentation. Thanks!